What comes to mind when you think of Taiwan’s Aboriginal peoples? The colorful festivals that come every summer? Cultures with centuries of handicraft heritage? Taiwan is home to a number of museums and galleries dedicated to the Aboriginal tribes of Taiwan, including the Shung Ye Museum of Formosan Aborigines, the National Museum of Prehistory, and the Ketagalan Culture Center. These institutions are committed to recording the story of Taiwan’s indigenous peoples through a variety of lenses, including history, culture, and natural science. Why not take a trip to examine the wonderful collection at one of these museums while also reevaluating what you know about the indigenous cultures of Taiwan? Located in Waishuangxi, Taipei, just down the road from the famous National Palace Museum, the Shung Ye Museum of Formosan Aborigines is housed in a building itself resplendent in Aboriginal style. Approaching the museum, one is struck by the exterior, which resembles a huge seated Aboriginal warrior, wearing a helmet and holding a saber. In the lobby, flanking the entrance to the museum proper, are a traditional fishing boat and a carved stone panel dedicated to the ancestors, representing both the maritime and mountainous aspects of Aboriginal culture. As museum director Lin Wei-cheng explains, of Taiwan’s many Aboriginal tribes, only two—the Amis and the Tao—have traditionally made their livings off the ocean, which is why the museum made a special effort to display a traditional Tao fishing boat, ensuring the seafaring side of Aboriginal culture is represented. The stone panel, on the left of the entrance, is a part of the hunting culture of the Paiwan. This one was designed by Paiwan artist Sakuliu Pavavalung, a sculptor, potter, and installation artist, who was specially commissioned by the museum for the work. Named Divination Before a Hunting Adventure, it depicts a pre-hunt fortune-telling ritual conducted by Paiwan shamanesses. Where one might expect the main focus to be on the hunters, they only appear at the bottom of this two-meter-tall panel, with the majority of the space occupied by the shamaness. Lin explains that while this may seem counterintuitive to many visitors, it’s far from unexpected, and actually reflects the high status of shamans in Paiwan society. Shung Ye Museum’s permanent collection is housed over three floors: the second and third floors, along with the first basement floor. Among the exhibits on the second floor, which focuses on everyday tools from Aboriginal life, one can see pottery and hunting implements. Hunting and farming are generally considered the domain of men in Aboriginal societies, and as such the second floor can be described as “the realm of men.” The third floor, showcasing weaving techniques and clothing, is “the realm of women.” And on the first basement floor is “the realm of gods,” exhibiting items related to the faiths, traditions, and rituals of the Aboriginal tribes. And so the slate house on display on the second floor is accompanied by a description by Rukai elder Auvini Kadresengan, while National Taiwan Normal University professor and Tsou tribe member Wang Ming-huey subverts the usual stereotypes of Aboriginal drinking culture with an exploration of its origins. So committed is the museum to letting Aboriginal people speak for themselves that since its first year of operation it has held a special exhibition called “Together with the Indigenous Village,” giving Aborigines more chances to tell their own stories. The first of these saw Sun Ta-chuan, current vice-president of the Control Yuan and also known by his Aboriginal name of Paelabang Danapan, talk about growing up in the Puyuma village of Pinaski (known in Mandarin as Binlang). Since its establishment in 1994 by Shung Ye Group chairman Safe C. F. Lin, the Shung Ye Museum of Formosan Aborigines has remained one of the few privately owned Aboriginal museums in Taiwan. Museum director Lin Wei-cheng explains that early museums in Taiwan tended to focus on either Taiwanese art or Aboriginal artifacts, but with the establishment of the Taipei Fine Arts Museum, people began thinking about the potential overlap between those two areas. Museum founder Safe Lin has thus far donated some 500-plus items to the collection, while over 1500 more have come from other collectors and tribal elders, expanding the collection to over 2000 pieces. To attract more visitors, the museum regularly puts new and innovative items on display, and just this year the usually static museum added several dynamic, interactive elements. Divination Before a Hunting Adventure, for example, has been the subject of a light show of sorts since early this year, with lifelike moving images of shamanesses and hunters projected over the panel. The Rukai slate house on the second floor sports a similar feature. A large LED screen hangs above the house, showing intermediate- to low-altitude broadleaf forests, to give visitors the feeling of standing in front of a real Rukai chief’s house and experiencing authentic Aboriginal culture. Looking out over the Central Mountain Range is Taitung’s famous cultural landmark, the National Museum of Prehistory, which takes us all the way back to the prehistoric era to learn more about Taiwan’s indigenous cultures. In 1980, while preparing the ground for the construction of the Beinan Station (now the site of Taitung Station) on the South Link Railway, workers stumbled upon a large buried prehistoric site. Investigations by experts such as National Taiwan University professors of anthropology Sung Wen-hsun and Lien Chao-mei determined that the site was Taiwan’s most completely preserved prehistoric settlement. It is also home to the largest-ever discovery of prehistoric stone coffins in Southeast Asia and the Pacific Rim. In order to preserve these discoveries, in 1990 the central government announced plans for the site to become host to the National Museum of Prehistory. 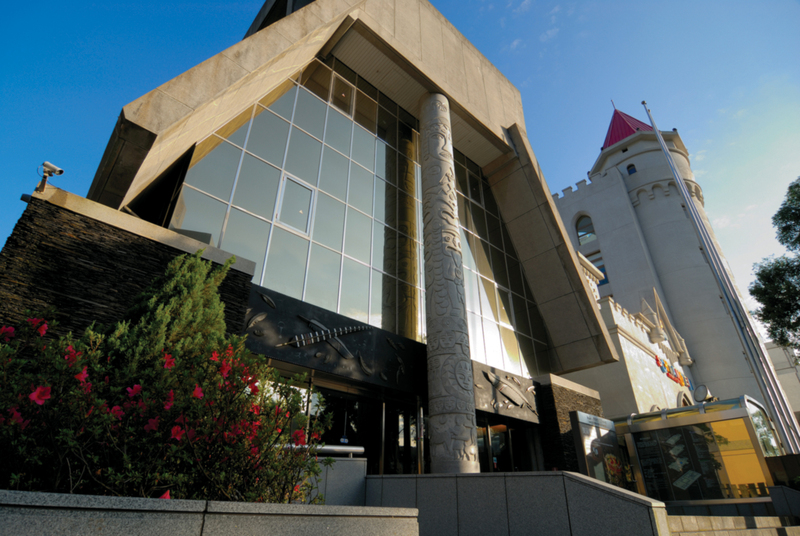 After more than a decade of preparation, the museum opened its doors in 2002, becoming Taiwan’s first national museum to bring together prehistory, natural history, and Austronesian culture. In the section “The Natural History of Taiwan,” the museum tells the story of Taiwan’s birth from its geological origins through the Ice Age. “The Indigenous Peoples of Taiwan,” meanwhile, spans space and time to not only introduce the Austronesian peoples of the world and the rites, social structures, and tools of Taiwan’s major tribes, but also to explore their prehistory through maritime and ceramic relics, as well as relics of megalithic culture excavated in eastern Taiwan. Among of the most noteworthy items in their collection are the “zoo-anthropomorphic jade earrings,” considered national treasures. About the size of an adult’s palm and crafted from brilliantly colored jade, the earrings are formed in the shape of two people with an animal atop them, conveying a sense of communication between mankind and sacred animals. Also on display are prehistoric jewelry items of superb craftsmanship, including one-piece beige horn-shaped bracelets and one-centimeter-thick translucent jade tubes of varying lengths. Another major focus of “The Indigenous Peoples of Taiwan” is how the various artifacts each cast light on one another, further illuminating the sheer length of Aboriginal history. The museum’s deputy director Lin Chih-hsing, also known by his Aboriginal name Agilasay Pakawyan, explains that while the museum’s primary mission is to collect prehistoric relics, since its inception it has also striven to incorporate Aboriginal relics and themes. To properly understand prehistoric culture, Lin continues, it is essential to collect relevant relics and study them from an ethnographic perspective. Through archaeological study we have already learned that the Austronesian culture originated in the Neolithic era, and that Taiwan’s Aboriginal tribes are descendants of the original Austronesians. Recently unearthed relics and ruins further point to definable Aboriginal settlements or cultures. “Understanding Aboriginal culture is essential to helping us understand prehistoric Taiwan,” says Lin. Aboriginal cultural exhibitions aren’t just found in the outskirts of the city or off on the east coast. Nestled in the concrete jungle of Taipei is another place where we can explore indigenous culture. Near Xinbeitou Station on the Taipei Metro’s Line 2, close to Beitou Park, Beitou Public Library, and the Beitou Hot Spring Museum, is the Ketagalan Culture Center, a convenient place for Taiwanese and tourists alike to get to know Aboriginal culture. On the first basement floor of the center is an exhibition entitled “Art Original Flow,” curated by Amaya Sayfik, a member of the Amis tribe. Eight artists are represented, hailing from the Puyuma, Amis, and Rukai tribes, with their installation pieces and fashion designs providing new interpretations of tribal traditions. On the second floor are the center’s permanent exhibitions, divided into four categories: modern art, everyday objects and musical instruments, accessories, and ritual items. Items on display include coconut drinking vessels from the Tao tribe, shoulder straps worn by the Paiwan to indicate social status, and a whole variety of other objects. 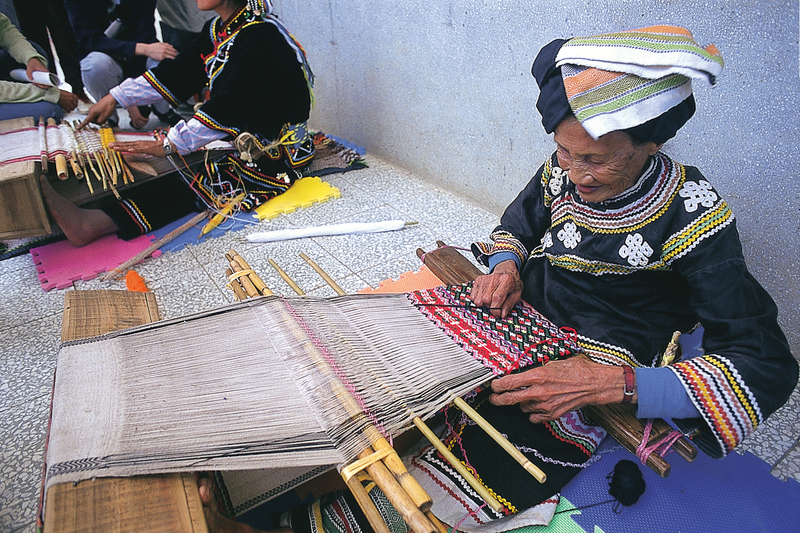 Over their centuries in Taiwan, the Aboriginal peoples have left a proud legacy of culture and settlement that has enriched the island’s history. Local governments and private-sector organizations continue to work to preserve the cultural memory of Taiwan’s indigenous peoples through opening Aboriginal museums. In 2019, some two decades since the beginning of the Name Rectification Movement, ground will be broken on a national Aboriginal museum in Yingge, New Taipei City. The aim of this new museum will be to preserve and present the rich and colorful culture of Taiwan’s Aboriginal tribes, ushering in a new page in Taiwan’s ethnic history.